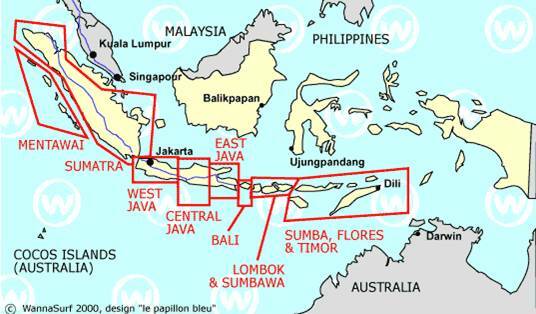 Can we expect any earthquake of 8-9 magnitude before end of 2010 that accompanies the tsunami caused by the bending of the tongue holding Indonesia? How would that bending plate affect the Mentawai Islands, tsunami-wise? And if there will be any tsunami, would it be higher than the 25 October tsunami in Mentawai? http://www.searo.who.int/en/Section1257/Section2263/Section2341/Section2376_15628.htm May I ask if an earthquake of 8-9 magnitude will accompany (I'm not asking before or after) Indonesia sinking before end 2010? The Mentawai Islands will not sink entirely during the 7 of 10 scenario afflicting Indonesia, nor, surprisingly, is great tsunami expected for these islands. We have mentioned waves that clash and boil but tsunami is a large amount of water rushing in a clear direction, and this will not be happening to the leading edge that slides under the curve of the Indo-Australian Plate. What will be experienced during the 7 of 10 is a suddenly rising tide, rising rapidly. Where water rolls inland and is blocked, it will seek to go around hills and rush into inland valleys and the like, and this will bring turmoil of course, turbulent water, boiling water, arriving not only from the coast but also from inland valleys. This is our prediction for the 7 of 10, but the pole shift brings a far worse situation of course. Though there will be earthquakes proceeding and accompanying the sinking of the tongue holding Indonesia, it will not require great quakes to allow the tongue to slide. Thus the sinking will be unexpected, as the quakes will not be that notable. It is a slide, not a jolting, that will occur, and it will take place rapidly.